A big thank you to everyone who attended the CASNG Forum on the future of Cycle and Walkways in the Cardiff, Hillsborough and Garden Suburb area. A special thank you to Peter Lee from the Newcastle Cycleways Movement for his interesting, provocative and informative presentation, and also to Matthew Brogan and Karen Partington from LMCC for adding an honest and encouraging appraisal of the future of Active Transport in Lake Mac. Making it possible to hold this as a free event - thanks to Melissa & staff at Cardiff Library, and Jo Smith from Lake Mac Libraries. As usual, Cardiff Library staff had everything set up just the way we needed it. The evening was a great information sharing night - merely the first of what CASNG hopes will be many gatherings we intend to hold in preparation for the next phase in Lake Mac's planning for Active Transport Cycle and Walkways around the City. 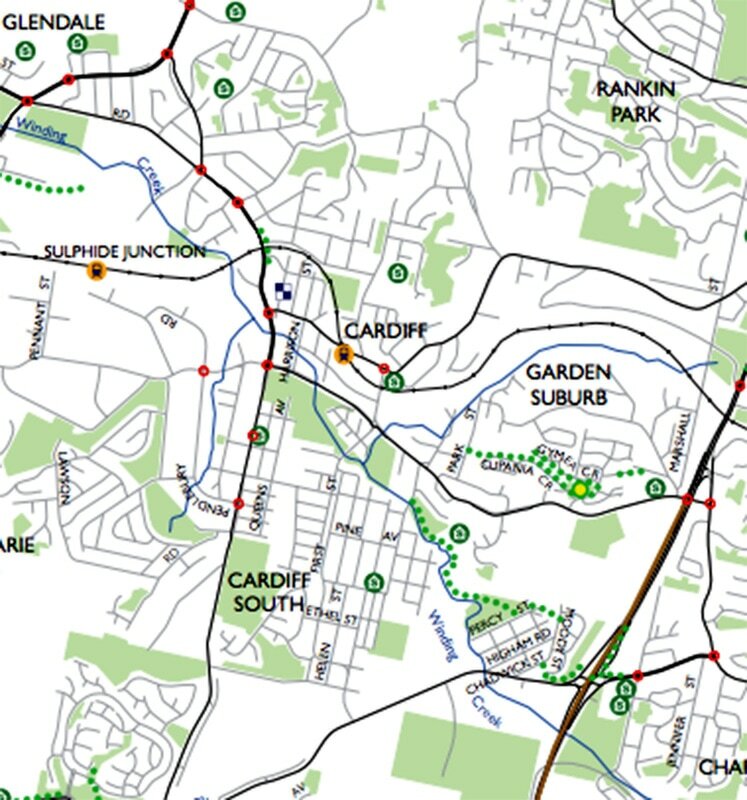 The green dotted tracks indicate the extent of Cycle/Walkways in Cardiff, Garden Suburb & Hillsborough.